Darren Aronofsky has finally managed to do the impossible: convince American movie audiences to outright reject Jennifer Lawrence’s charms. Entertainment Weekly reports that Aronofsky’s new film Mother!—which is currently busy dividing critical opinion with its deranged, allegorical depiction of a woman under increasingly heavy siege from within her own life—has been far less polarizing for regular movie-goers, who gifted it with a rare “F” grade via audience polling service CinemaScore. 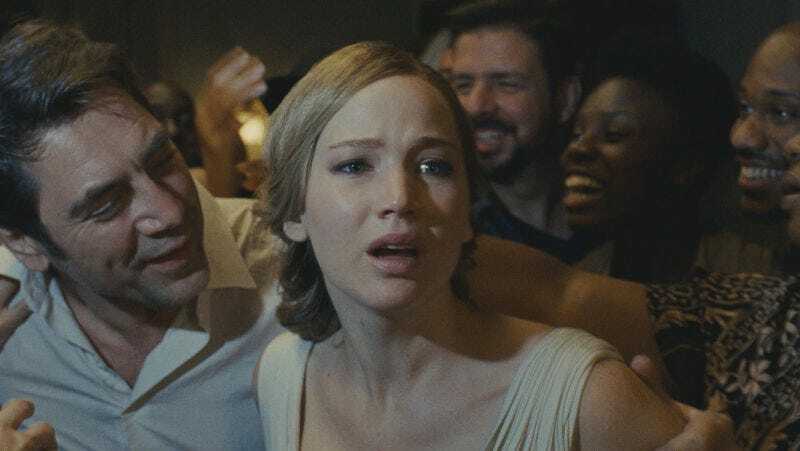 The CinemaScore F has become a perverse badge of pride for some films, though, a reflection of a movie that goes out of its way to artfully alienate or confuse audiences. Past recipients of the “honor” include Steven Soderbergh’s Solaris, the Nicolas Cage Wicker Man (which, ironically, failed to get the Beeeeeeeeeees), and a number of bizarro horror movies—William Friedkin’s Bug, Richard Kelly’s The Box—that were significantly weirder than their initial marketing let on. In that sense, Mother! is in good company, even if it doesn’t necessarily mean good news for the film’s box office receipts. Ed Harris recounts the three-month rehearsals for Mother!